The Pakistan Tehreek-e-Insaf (PTI) and the Balochistan Awami Party (BAP) have decided to join hands to form coalition governments in Balochistan and at the Centre. The two parties held talks at PTI supremo Imran Khan’s Bani Gala residence on Tuesday. The PTI has also decided to back BAP’s Jam Kamal for the chief minister’s seat in Balochistan. Speaking to the media, Kamal, who was was flanked by PTI’s Shah Mehmood Qureshi, Jahangir Tareen and Pervez Khattak, said that both parties wanted to see Pakistan prosper. “I’ve come with four newly-elected National Assembly members,” he said. Kamal further added that the party has lent its unconditional support to the PTI. “The promises made to us [Balochistan] had not been kept in the past but I have faith that we can work with the PTI for the betterment of the province,” the BAP leader said. “With five PTI legislators, seven independent candidates, our party has reached a simple majority to form the Balochistan government,” Kamal said. 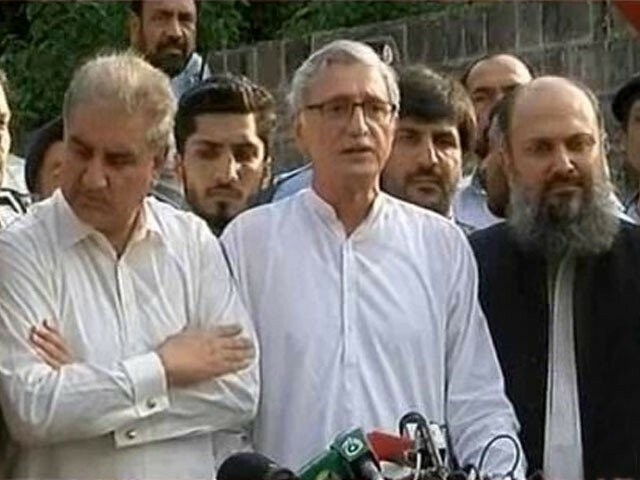 Speaking on the occasion, Tareen said four independent candidates had joined the PTI ranks so far and talks were under way to garner further support in this regard. “We’ll [PTI] vouch for Kamal for the Balochistan CM’s slot and a decision on the chief ministers of other provinces will soon be announced by Imran too,” the PTI leader said. Tareen said the PTI chief’s decision would be backed by everyone in the party.